Melodic Rap meets Boom Bap - HipHop with a sense of magic and wonder - HipHop with a touch of Jazz, Funk and WhatTheFuck - HipHop for open minds that see through closed doors. I NEED YOU!! You can catch me (and help me out) at the Local Heroes Styria band competition @ PPC Graz. Come and see me perform and please cast your VOTE to help me move on and maybe send me to win a spot at the Frequency Festival 2019. In cooperation with Dirty South, Retainer Hitokiri "Leapyear" will be showcased @ PPC Graz in a double-release party together with longtime collabo-partner and homie Finstarr, who recently dropped "Rapublik". After years of selection, writing and starting over from scratch, late 2018 will finally see the release of Retainer Hitokiri’s solo CD “Leapyear”. 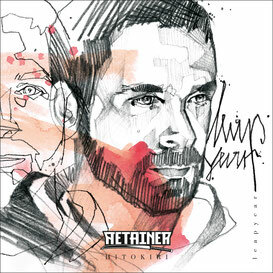 Together with producer Martin Wirbel, the help of Canadian sound engineer Sam Ibbett and beatmakers Flow Budget, Chief Tartare (Austria) and Silent Noize (USA), “Leapyear” features a HipHop style combination of Rap, Jazz, Funk, Reggae and World music.